Among on the wolves of the Dalal-street, there is this she-wolf who has got so much attention by investing in the lesser-known companies which later turnouts to be multi-bagger stocks. Dolly Khanna is a Chennai based investor. Her net-worth has crossed 500 crores. Her stock portfolio is managed by her husband Rajiv Khanna, who is a graduate of IIT Chennai in chemical engineering. Rajiv Khanna was the owner of the ‘Kwality milk foods’ one of the well-known food company in India until he sold it to Hindustan Unilever in 1995. From mid-1990’s, Dolly Khanna and her husband Rajiv Khanna started investing in the Indian stock market. Dolly Khanna is the brain of their investments. 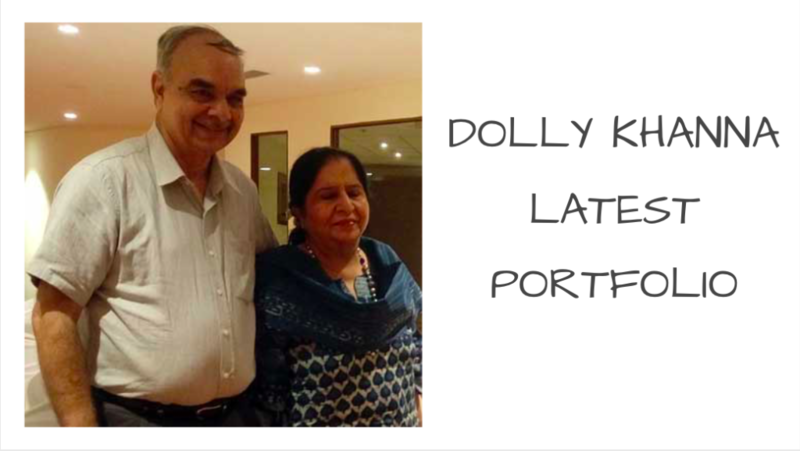 Few of the biggest investments in Dolly Khanna portfolio which made her a tycoon in investing world are Neelkamal, Mannpurnam finance, Trident, Hawkins India etc. Neelkamal gave her a return of over 900% when it grew from Rs 160 to Rs 1950. Few small-cap companies in Dolly Khanna Portfolio which gave her good returns are Wimplast (7x return), Cera sanitary ware (7x return), RS Software (4x return), Avanti feeds (5x return) and Amara Raja (3x return). Few of the recent investments of Dolly Khanna portfolio are in Rain Industries, Nahar International Enterprises, and Ruchira Papers. Here is the list top 10 stocks in Dolly Khanna portfolio updated till November 2017. The stock picking style of Dolly Khanna is definitely unique due to her technique of investing in lesser-known small-cap companies. Nevertheless, it looks like her investments are working great for her.